YMCA of Sacramento had recently announced it would operate Glenn Hall, Southside and Tahoe Pools this summer. But the even better news is that these pools will hav open swim hours seven days a week. In addition to open swim hours 1-5pm Sunday through Friday and noon to 6pm Saturday, the pools will be open for lap swim, lessons, water exercise and swim team (at Glenn Hall). The public swim fee of $4/adults and $2/children is steeper than previous years but still a great deal. There will also be a $150 family unlimited pass. This is excellent news. I am definitely looking forward to some serious chillaxing at Tahoe Pool this summer. Long hours on Saturday is awesome! The Y is thrilled to be operating three city pools this summer. The YMCA do Superior California is all about working in partnership with cities, schools and other organizations to serve the community. 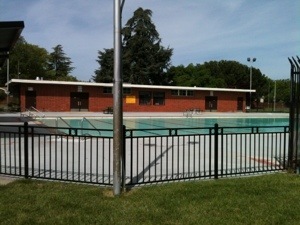 Get ready to JUMP IN and have a great summer at Southside Park, Tahoe Park and Glenn Hall Pools. pools open June 15. Previous Previous post: Hank Shaw wins!